Hello! 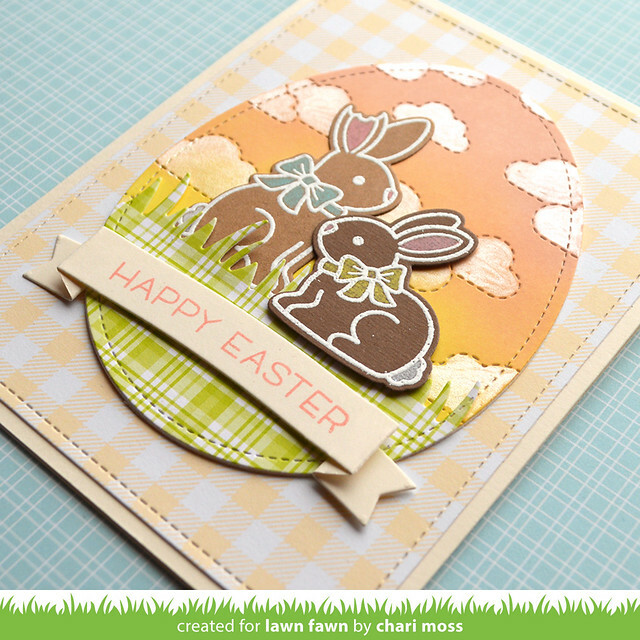 Today I have a yummy Easter Card to share with you including a video showing how I created it. 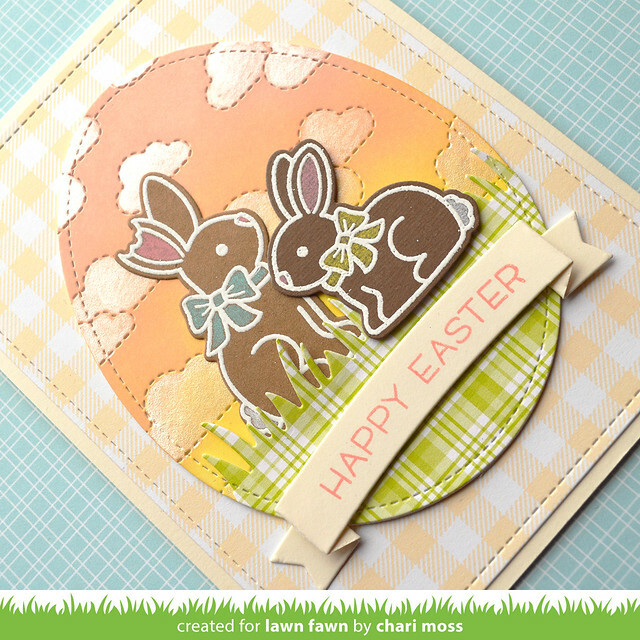 This card features one of my favorite Easter sets from Lawn Fawn, Eggstra Special Easter. I think those little chocolate rabbits are just too cute. I loved getting choclate bunnies in my Easter basket when I was younger. I created these little chocolate bunnies by white embossing the images on Chocolate Bar and Paper Bag cardstock. I colored in the little accents with colored pencils for some soft color. The eggs shaped background is colored by blending squeezed lemonade and tattered rose distress oxide inks. Then I painted in the clouds with white gold watercolor. 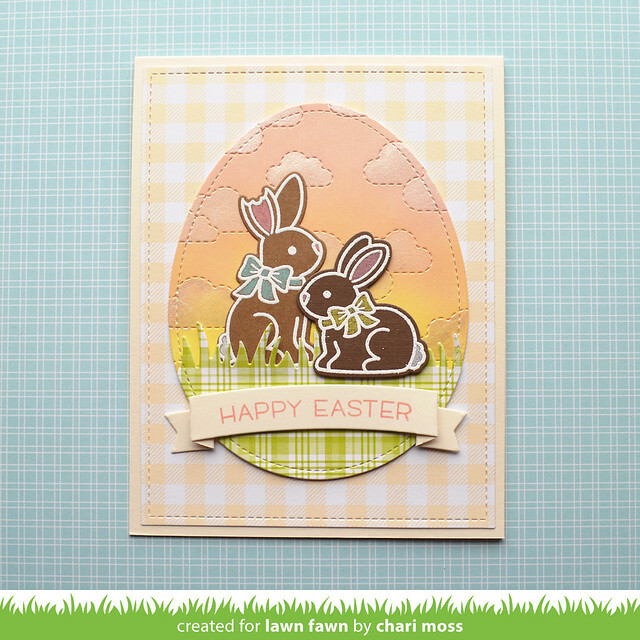 I used the cream colored gingham paper on a Vanilla Malt cardstock base for a nice soft background that lets the colors of the background and bunnies pop. Check out the video below or HERE on my YouTube channel to see exactly how I created this card.